The latest patch for SMITE has landed, adding Vapor Wave Poseidon and providing a few fixes. Season Six is due soon, and a live stream has highlighted some of the features players can expect when it arrives. The star of SMITE's latest patch, which hit consoles on Tuesday, is the newest playable character, King Arthur. The update also continues the long-running Odyssey event with more quests and content and more. This week saw the arrival of version 5.20, otherwise dubbed "A Necessary Darkness". The patch adds new God skins and other purchasable items, as well as the usual bug fixes players can expect to see. The latest update for deity-battling SMITE brings with it an adventure in the classic Joust map, which was replaced with the newer version in Season 3. Plus, there's some new skins and bug fixes to enjoy as well. The fiery Goddess of Volcanoes, Pele, joins the SMITE roster in the latest patch, along with a few new skins, some cosmetics and of course, some bug fixes. The patch is available now. This weekend, players can earn double worshipers, experience and favor in SMITE.The key to the event is in the name, however; this Party Up Weekend requires players to be partied with one another to reap the benefits. The newest SMITE patch is just about ready to launch for consoles. Developer Hi-Rez Studios' new patch cycle is allowing console players to enjoy updates closer or even on the same day as the PC patch launch. Developer Hi-Rez Studios launched a week of double worshipers, experience and favor in their third-person MOBA SMITE. The event has good timing since a lot of players were exposed to the game thanks to Games With Gold. In the chaos of E3 week, some developers are just trying to bring you their regularly scheduled content. Hi-Rez Studios is one of them, having just released the Medusa's Deathmatch patch for SMITE. 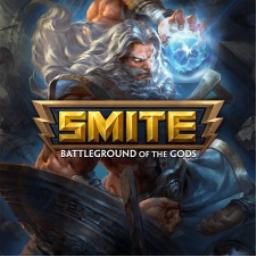 The first SMITE game with trophies was SMITE, which was developed and published by Hi-Rez Studios and released on 22 March 2016. 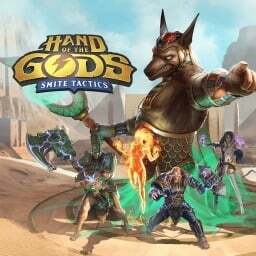 Since then there has been 1 more game in the series with trophies - Hand of the Gods: SMITE Tactics which was developed and published by Hi-Rez Studios and released on 20 February 2018.